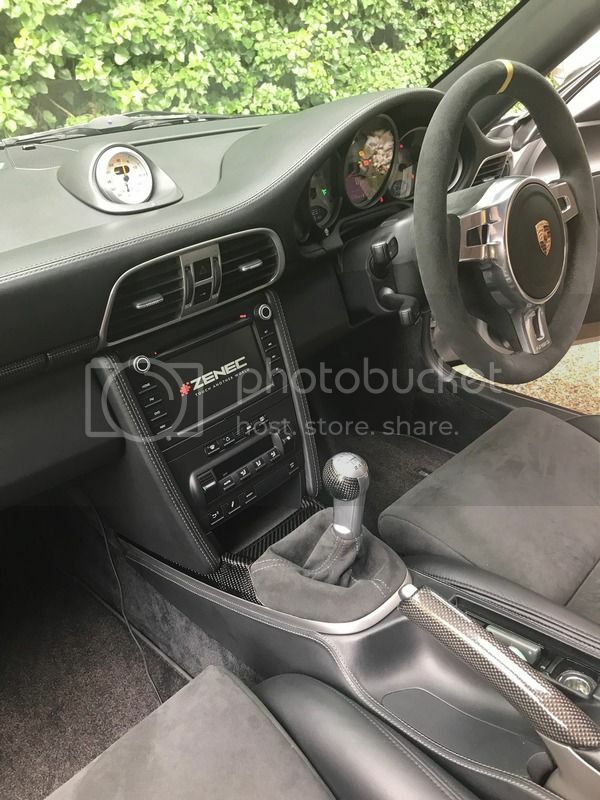 Gt3 style seats and manual steering wheel in Alcantara. Installed heated seat elements in the seats. Had the seats covered in "real" Grey Alcantara with gator and centre glove box cover. Read of issues with the horn not Working. Mine did not work after installation. Did some thinking and routed a couple of wires on the steering wheel loom. Two ground wires for the horn, one works with the ignition off other ignition on engine running. No need to program the control unit. All working fine! All original wires to the wheel untouched and easy to swap back. Will post a new thread with my wiring diagram. 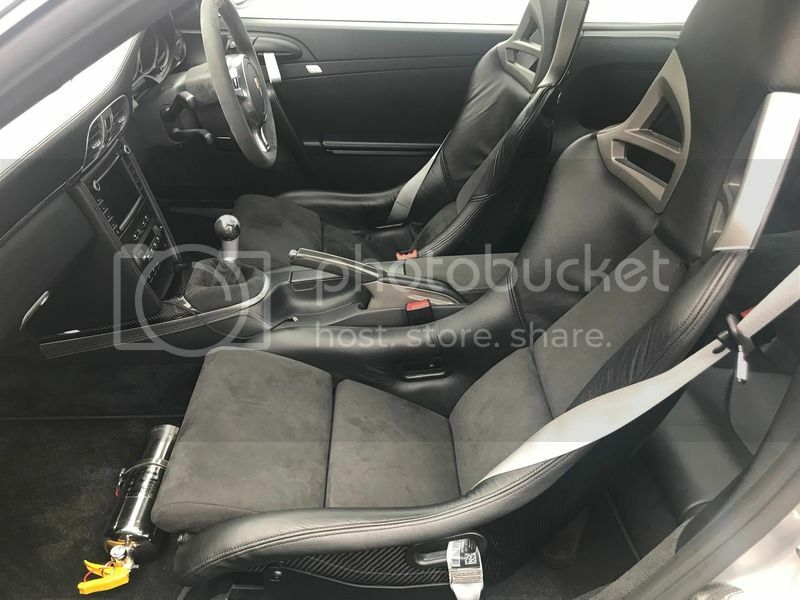 Love the look of the seats, not sure I could live with them for comfort though, how are you finding them though? Added another foam to the base and rear. Did feel my shoulders where at an angle. The additional rear foam has helped. Also installed heat elements. Which ones did you buy and who added the extra bits? From design 911, they supply the mounts and runners. fitted them myself, no issues. Bought 2" thick foam cut to shape. I mean't the hated elements and extra foam? Bought 2" foam and had them cut to shape with a cardboard template. Heated kit from eBay, elements push under the alcantara. Wired and fitted myself. Switches fitted bottom right do each seat base. 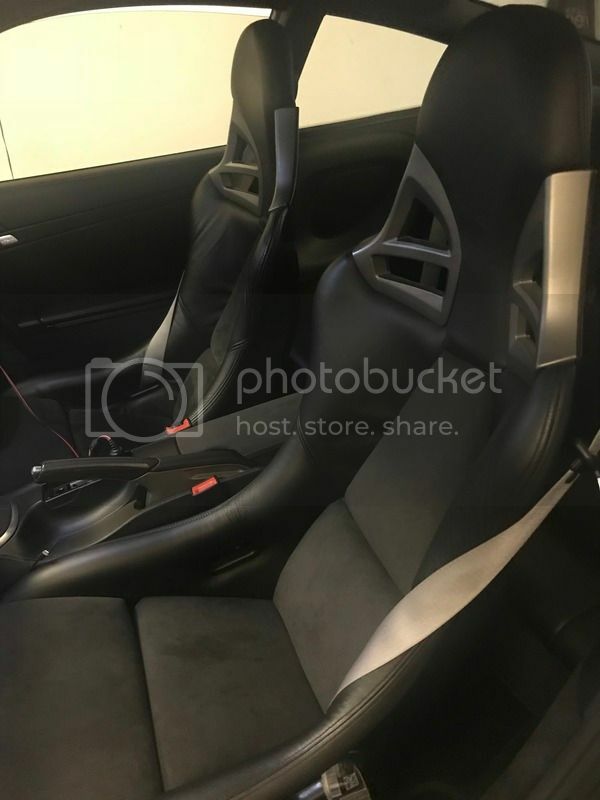 Ok great, not sure I'm brave enough, my current seats are electric and I can cope with ammending woring, not sure I can pull a seat apart though..
All OEM parts etc left as is, did not have to touch any original wiring. Agree with the rear seats just don't want to go that far! Hi good skills on the wheel and seats. I have the same wheel with non-functioning horn what did you do to the loom to fix if you don't mind me asking? Of course!, will pm you my number. Where is the steering wheel from? Did it come with the alcantara and yellow band? Bought from Germany, original with the stripe was never fitted. Nice. If new then would be interested in supplier. Thanks. Private guy, had this and a paddle which is in his turbo. I know a good steering wheel upholstery guy, he has converted a wheel to flat bottom for me in the past. Pm me your email if you are interested. Thanks! Glad I had no probs with my horn!